Okay, I admit it: I have a soft spot for the LEGO universe. I think their cartoons and movies are fun, entertaining, and kind of hilarious. I also enjoy their video games and my son is (like every other child on Earth) a big fan of the building blocks. Naturally, when a new mini-movie came out, he was dead-set on watching it and I was a total pushover about it. 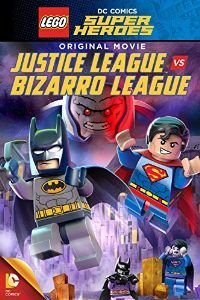 LEGO Justice League vs. Bizarro League is silly, action-packed, and even a little bit meaningful. If you don’t know about Bizarro Superman, here’s what you need to know: he was a Lex Luthor creation, meant to equal Superman but he ended up being this weird, backwards version of Superman who does everything backwards. Tell him to put something down and he’ll pick it up. You get the idea. He is a major headache for Superman. But when Bizarro Superman decides to make his own version of the Justice League, it goes out of control and they are sent to some faraway planet to live their Bizarro lives. My favorite is Greenzarro, the backwards Green Lantern who can only conjure a giant green teddy bear, that he uses to comfort him in the face of danger. There is a whole plot line involving alien planets and someone named Darkseid who is mining the Bizarro world of all Bizarro Superman’s “friends”. This is a great movie to watch when you realize it’s much later than you thought it was and still wanted to squeeze in a family movie night. It’s only about 45 minutes long. When was the last time you decorated your bedroom? If it’s been a decade or more, your space probably looks a little outdated. Even if you have a classic brass bed that remains timeless, things like patterns and accessories can start to look tired and lifeless after a while. Updating your sleep space might not require as much time and energy as you think, however. Take a look at these five tips to help you modernize your bedroom, so it’s feeling fresh and stylish in a flash. 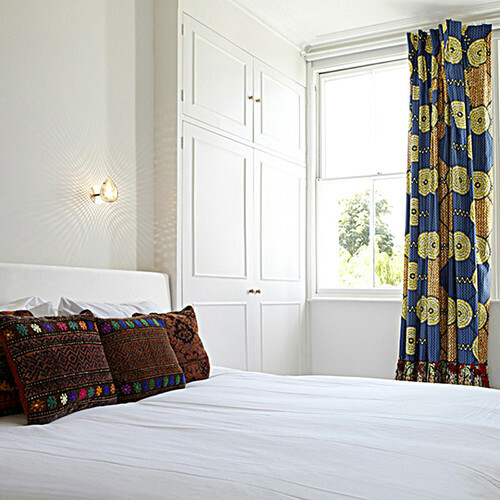 It’s easy to see how the above bedroom could look dull and dated without the prints on the curtains and pillows, which add a splash to the interior. Don’t be afraid to try a new pattern, even if it’s on the trendy side. 2. Create an interesting bed wall. 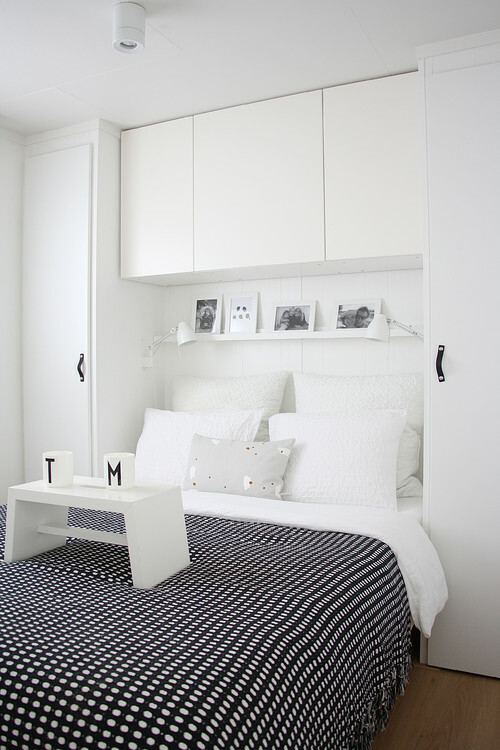 Cabinetry and an over-the-bed shelf add interest and dimension to this white room’s bed wall in an Amsterdam home. 3. Purchase a sleek platform bed. 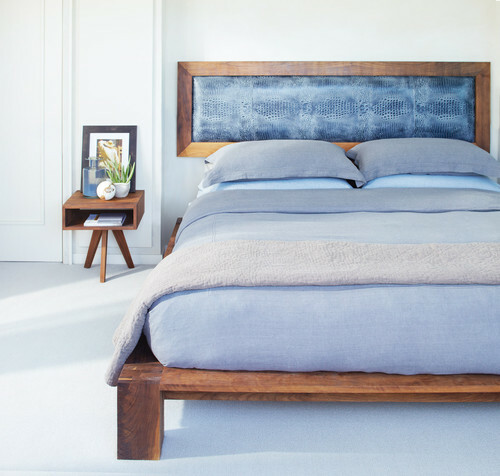 A platform bed can facelift even the most dated bedroom. 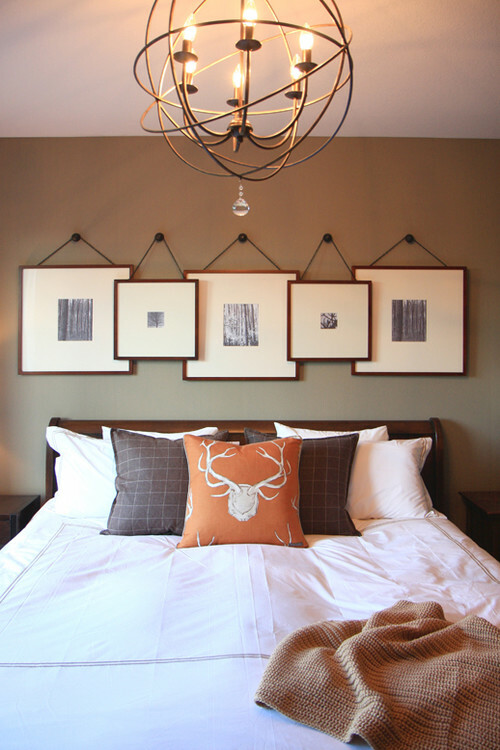 Transform your space by adding a modern bed or headboard. A chandelier, clean no-fuss art above the bed, accent pillows and a throw at the foot of the bed, breathe life into this Minneapolis bedroom. 5. Add a classic modern piece or a conversation-starter. A Scandanavian chair dresses up the corner of this contemporary bedroom. A sculptural piece of furniture or an objet d’art can add flavor to an otherwise bland interior. 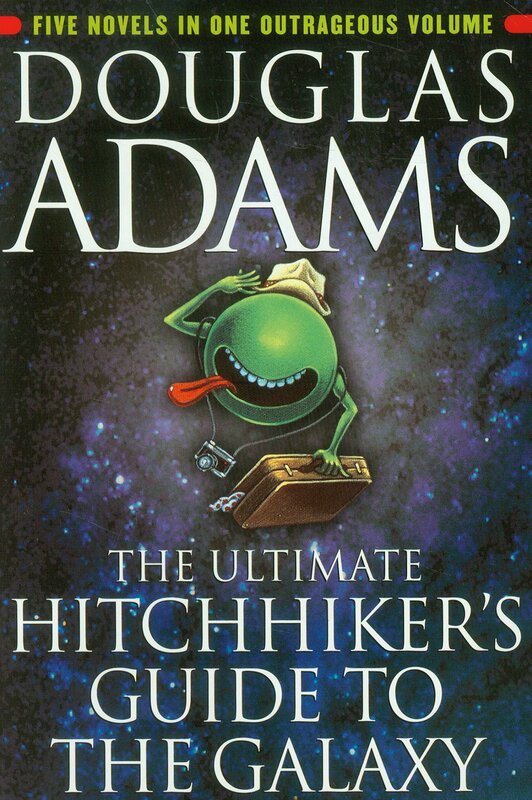 When I was a nerdy 12-year-old boy, my single greatest discovery was the four books that comprised the Hitchhiker’s Guide to the Galaxy series. By the time I was fourteen, that trilogy had grown to five books, arguably the longest trilogy ever written. I have been revisiting the series for the first time in many years; so long, in fact, that I had forgotten the entire plots of the final two novels. If you are unfamiliar with the series, the quick and dirty summary is this: Arthur Dent, earthling, awakes one day to discover bulldozers in his yard, preparing to raze his home to make space for a new highway. But before they can get going on demolishing his home, the planet is suddenly surrounded by a fleet of alien ships, Vogons, to be precise, who are preparing to demolish the planet to make space for a new hyperspatial express route. Luckily for but unbeknownst to Arthur, his best friend Ford Prefect happens to be an alien from Betelgeuse researching the Earth for the reference guide The Hitchhiker’s Guide to the Galaxy. He hitches a ride for himself and Arthur on one of the Vogon ships and into relative safety. The five books follow Ford, Arthur, Ford’s friend Zaphod Beeblebrox, two-headed ex-president of the galaxy, earthling Trillion, and the hopelessly depressed Marvin the android. We learn who really first populated the Earth, what the true purpose of the planet was, and who our secret overlords were all along. If you or a loved one love absurd yet engaging stories, I cannot recommend this enough. Even if science fiction isn’t your bag, you are likely to enjoy these stories. They are much more than a space drama. Recommended for nerdy adolescents. Is It a Good Idea to Sleep with Your Dog? Are canine snuggles on the rise? Let’s be honest. It’s hard to refuse the sweet, loving faces of our four-legged furry friends, especially when it comes to saying goodnight and crawling under the covers. And Americans aren’t refusing. According to the American Pet Products Association, almost half of all dogs sleep with their owners. 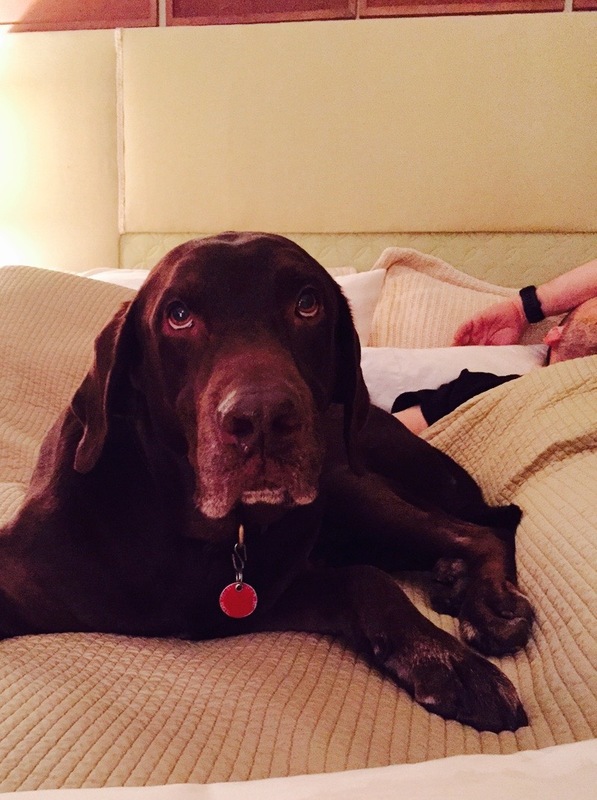 As a dog mom myself, I admit –– the absurd thought has crossed my mind (especially when hubby is out of town), but getting a full night of beauty sleep is far more important than snuggling with my almost 80-pound Labrador Retriever. Admittedly, I do, on occasion, allow him to come on the bed for a quick snuggle, but he returns to his dog bed on command. As sweet as it sounds, it’s probably not a healthy idea to sleep with your pup, even if he or she promises never to snore. Read on for four reasons why it’s not a good idea to sleep with your dog. Your dog might kick or sprawl, taking over most of the bed and leaving you with the edge, if any space at all. You could be woken up and not get a full night’s sleep, or a good, restful night’s sleep. Sleep is essential to our existence, and lack of it will affect your performance at work, as well as your mood and overall health. You can catch roundworm or hookworm, and other diseases from your dog. If you keep your dog on a preventative, you can probably avoid fleas and ticks, but there’s always the chance of a stray making its way into your bedding. Would you really want bugs where you sleep? 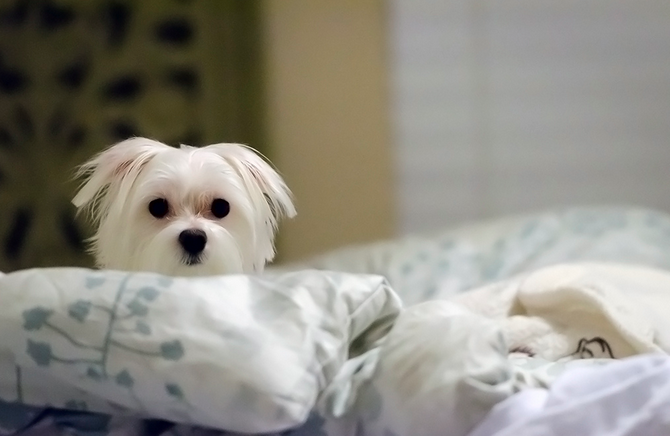 Unless you have a hypoallergenic breed or one that doesn’t shed, dog hair in the bed could cause an allergy flare-up. It’s also not exactly good hygiene to be snoozing among piles of dog fur. 4. It’s a hard habit to break. Once you start allowing your pup to share the bed, you’ll have a tough time getting him to leave. Would you want to move from a soft, comfy mattress with 400-thread-count sheets and a down comforter to a dog bed on the floor? Didn’t think so. Put one quart of milk in a tin or basin, and set into a kettle of boiling water. When it comes to a boil stir in two spoonfuls of flour, mixed with half a cup of milk, one spoonful of butter, and salt to taste; let this boil ten minutes, and then put in the bread, which must be toasted brown. Cook five minutes longer and serve. 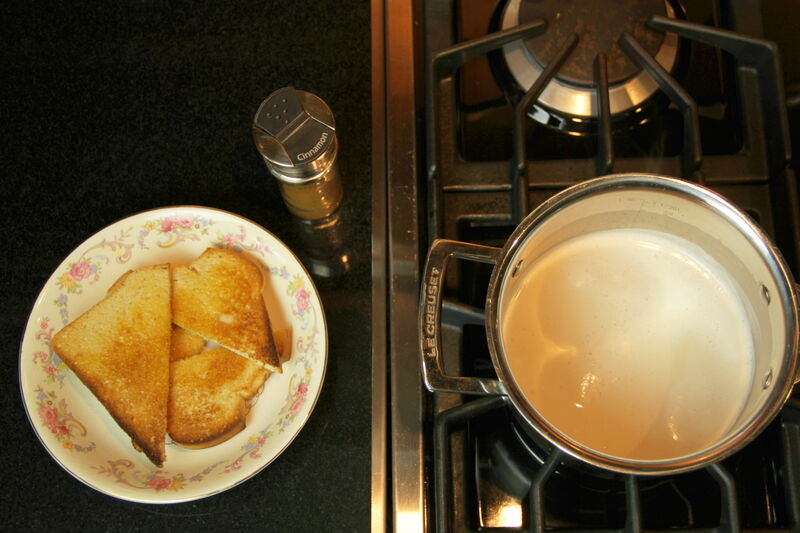 Simply toasted bread, served in a warm, lightly sweetened milk bath, makes an easily digested meal. Some made it as a way to use up excess milk in the days before refrigeration. It soon became a popular breakfast for young children and the infirm. 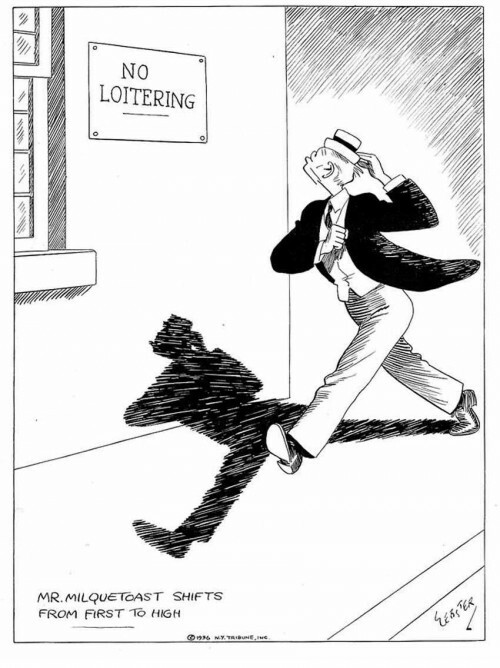 In 1924, cartoonist H.T. Webster, inspired by the bland nature of milk toast, created the wimpy character Caspar Milquetoast. Mr. Milquetoast was featured in Webster’s comic strip The Timid Soul for nearly 30 years, until the early 1950s. But don’t let all this ancient history and spineless connotation prevent you from trying milk toast. It turns out that milk toast is delicious! If you have a way to steam the milk (like a cappuccino machine) mix the sugar and vanilla into the milk first and use this method. You can also try adding some fresh berries or dried fruit. 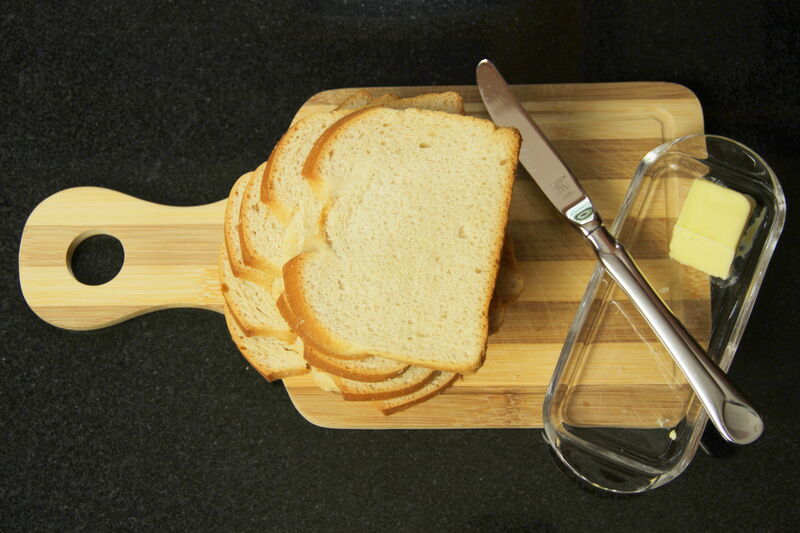 Experiment with different types of bread, if you like, or chop the toast into easily edible cubes before serving. Pretty soon all the little Milquetoasts in the house will be crying out for a Milk Toast breakfast in bed. Place bread slices in toaster and toast to a golden brown. Spread each slice evenly with butter. In the meantime, pour milk into a heavy saucepan. Stir in sugar and vanilla and heat over medium heat, without stirring, until milk begins to simmer around the edges, about 5 minutes. 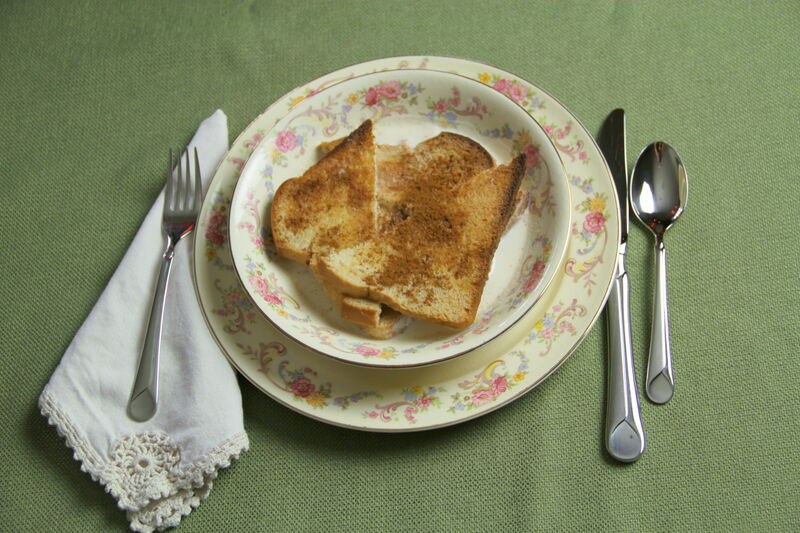 Place toast on a serving plate. 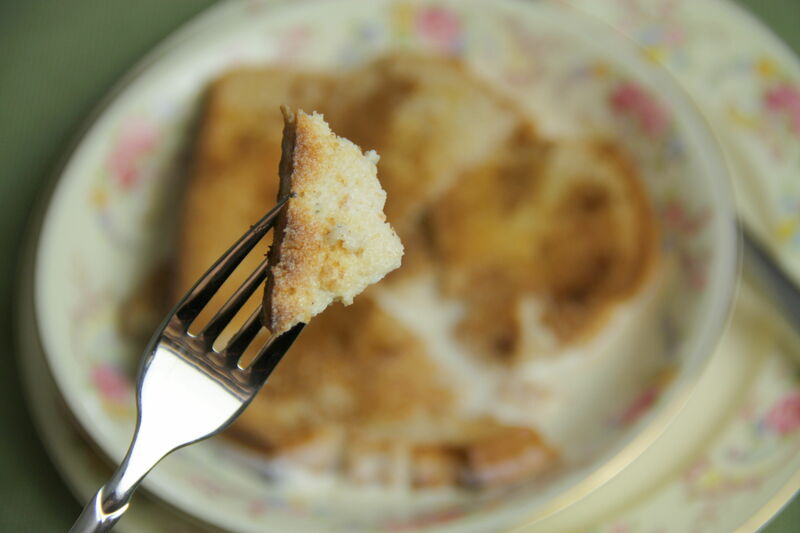 Pour steaming milk on top of toast, sprinkle with cinnamon, and serve immediately.